If you're poor and hungry like the rest of us. We’ve all been there. You want a snack that doesn’t come from a plastic bag at Scotty’s. While Scotty’s has most definitely saved our lives one time or another from death by starvation, it’s not the first thing we crave when we’re feelin’ snacky. We went to all the hit snack spots and tried out some of the most popular items to get you some cheap eats mid-meal. First of all, you need to know what mangoñadas are. 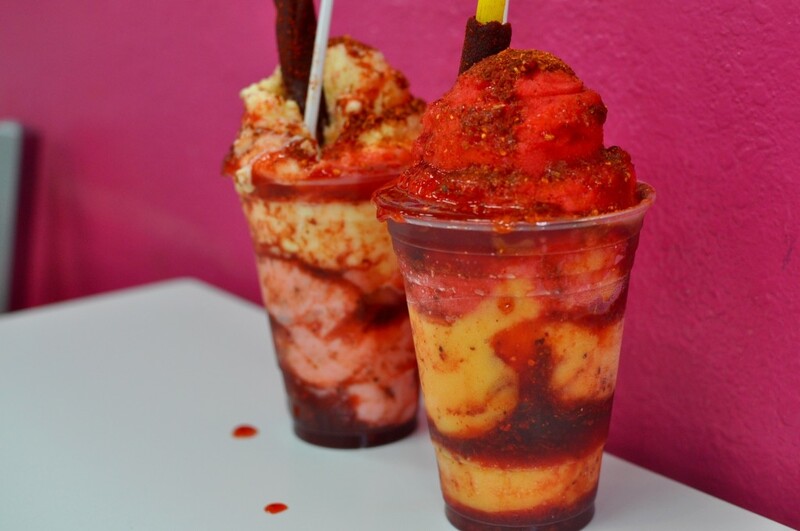 These crazy little cups of flavor are usually a combination of some type of mango sherbert, chamoy, (a Mexican sauce with spices and fruit pulp) and lime juice. At La Michoacana Ice Cream on Chicago Ave. just down the street from campus, they let you choose any flavors you want for your mangoñada. The flavors range from the traditional mango, all the way to a very exotic guava sherbet with every fruit imaginable in between. 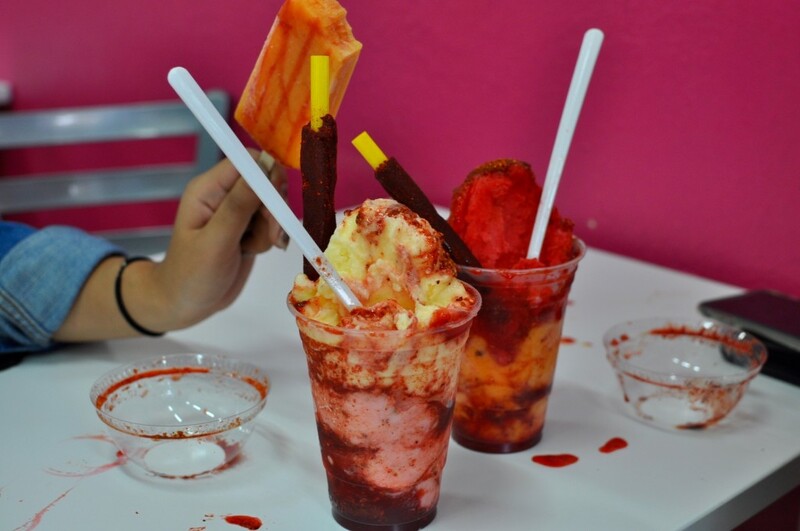 They also have freshly made agua (water) or crema (creme) popsicles. The flavor options for these little suckers are literally endless. For just under $2, they are a perfect way to beat the insane Riverside heat. If you’ve never heard of boba, you may not be from Southern California. Just kidding, but really. 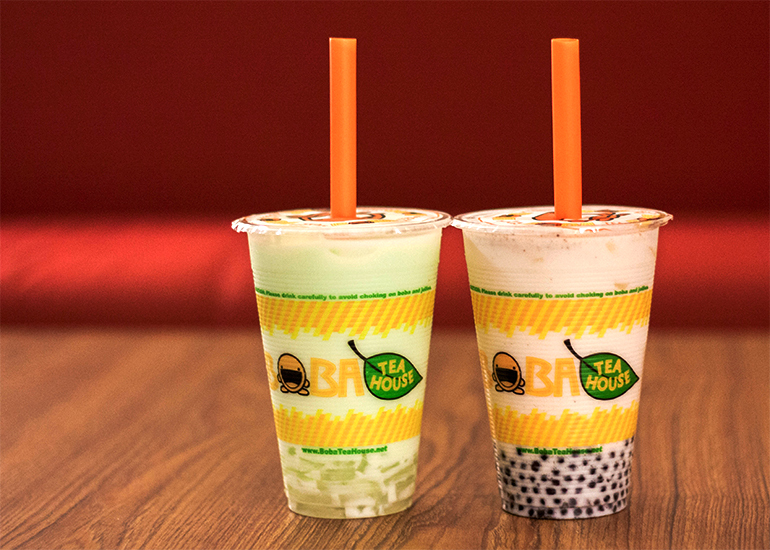 Boba, aka tapioca pearls, aka balls of chewy beauty have taken the dessert beverage wave by storm. The wonderful thing about boba is the fact that you can customize it so that your drink is just how you like it. Boba, tiny tadpole boba, assorted fruit jellies, pudding, and sometimes even fresh fruit will jazz up your boring ol’ milk tea or slushy. Rockstar Shrimp is the ultimate and one of the only cajun fusion seafood places in Riverside. That being said, if you’re not in the mood for a full on bibs on bibs on bibs meal, their fries are killer and quite the bang for your 4 bucks. 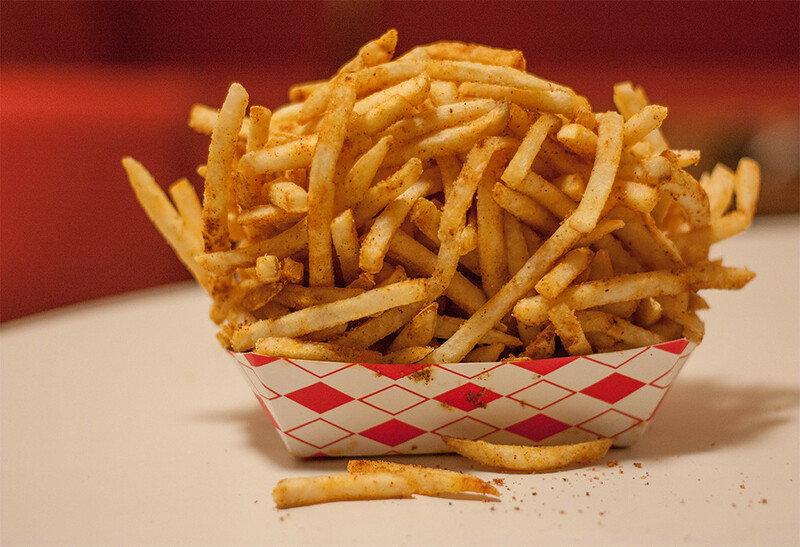 They really stack the fries on there and these crispy, steamin’, and a bit spicy strips of gold make the perfect snack to go along with your boba from Boba Tea House. 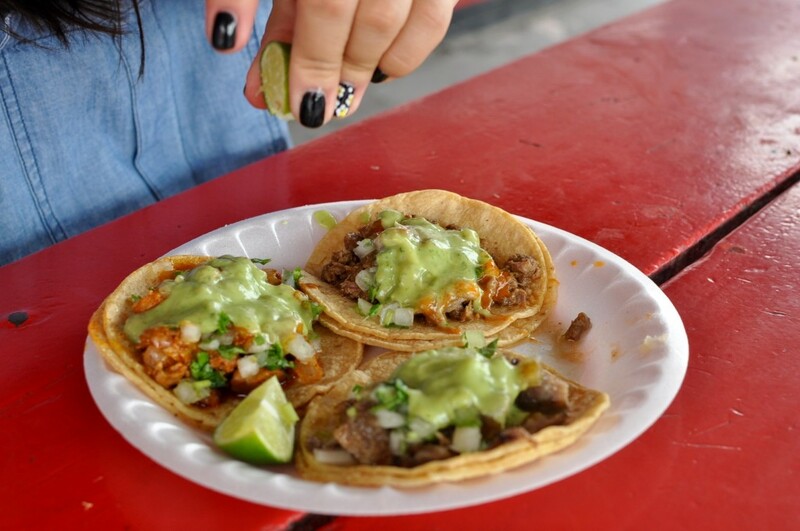 Screw taco Tuesdays, it’s all about taco Thursdays/Saturdays. Clearly, our friends at Tuxie’s don’t care about alliterations. But they do care about making some good tacos. Tuxie’s is a really old school drive in shop. No indoor seating, just some picnic tables. There’s a really cute thrift shop across the plaza so maybe walk off some of the tacos? Or not. Whatever. Let’s tacobout the tacos, yeah? At a buck each, you really can’t compete (only about 40¢ more any other day.) You can choose from carne asada, al pastor, carnitas, pollo, or cabeza. Let’s make one thing crystal clear. Just because it’s cheap, it does not mean they are skimpin’ out on the meat. These lil’ babies are hot, juicy, and full of flavor. 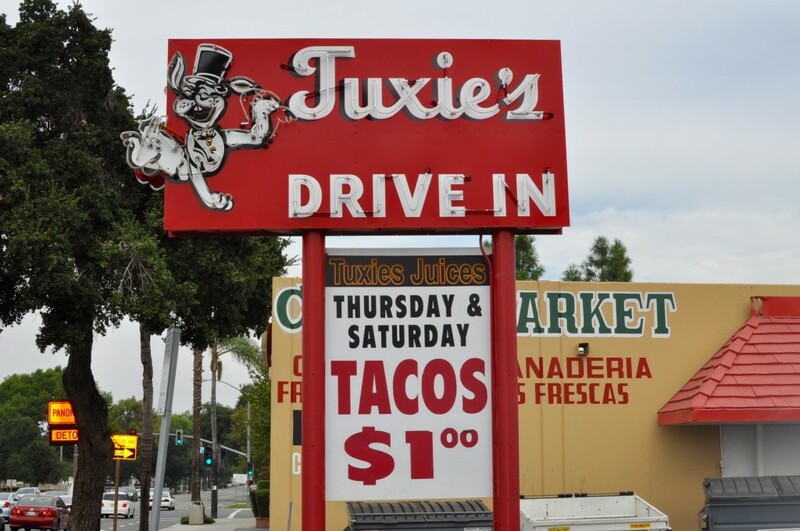 I can confidently say that these are the best street tacos I have had in Riverside. Can we just take a look at the guacamole? Really, I’m sure it costs them more to make these than they’re selling them for, but I mean we are the benefitting party so I have absolutely no complaints. Squeeze some lime on those suckers and munch away. This place is new, and may be the most accessible treat on this list. It’s located in the UV, the University Village for you freshies. 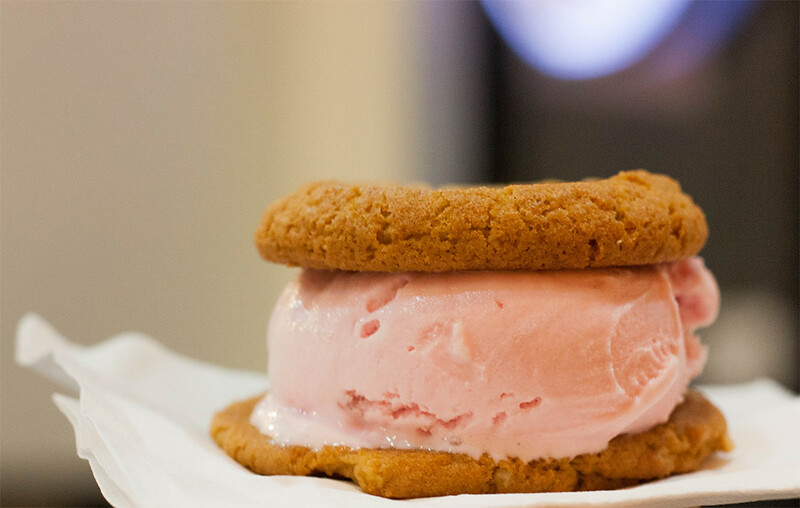 They have ice cream sandwiches, with freakin’ Thrifty’s ice cream inside. I have proclaimed this place legit because they use Thrifty’s ice cream. For just around $2, you can get yoself two moist, soft as hell cookies (multiple types of cookies) with a huge scoop of any flavor ice cream in the middle. Riverside ain’t so bad when there are always delicious new foodie spots opening. Be willing to explore my fellow Highlanders. Riverside is your oyster.